Special Containment Procedures: SCP-4422 is contained at its place of discovery, now designated Site-4422. As Site-4422 is able to function as an ordinary power generation facility, its continued operation serves the dual purpose of providing cover for Foundation activity at the Site and supplying power to SCP-4422 and Foundation facilities in the region. 25 auxiliary staff have been assigned to routine operation of the facility, under the guise of local energy authority employees. The lower basement level of Site-4422 housing SCP-4422 itself is restricted to the immediate research team and security personnel. Staff in this area require training in basic chemical and hazardous gas safety protocols and emergency procedures.1 Entry into the main SCP-4422 chamber requires the use of Level A hazmat gear. SCP-4422 is to be monitored at all times, with both automated and manual systems in place for the safe venting of hazardous gases. Use of SCP-4422 requires a formal proposal signed by two senior members of the research team and Level 4 staff approval. No items or persons with causality or temporality-affecting properties are to be brought into the vicinity under any circumstances. UPDATE: As a result of Incident 4422-1, safety standards for the Site-4422 basement level and SCP-4422 have been significantly revised. The maintenance airlock system has been redesigned to incorporate a shielded access airlock with 5-ton blast doors and the main tank walls reinforced. In addition, the basement ventilation system now incorporates emergency sealants capable of isolating the level from the remainder of the facility. Chemical and hazardous gas emergency procedures and rapid access to breathing apparatus are now required for all levels of Site-4422. 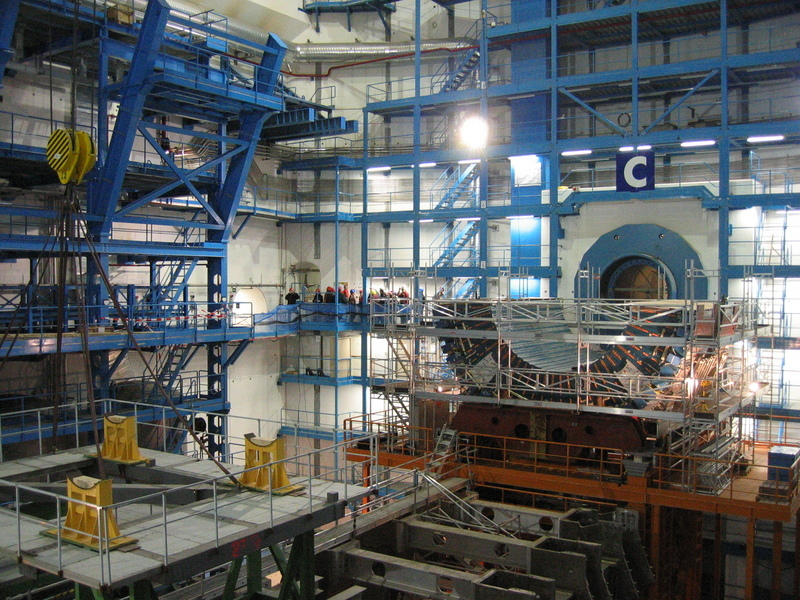 Outer view of SCP-4422 towards access airlock, with under-maintenance solenoid in foreground. Sustained particle bombardment of substances within the tank while the tachyon fields are active temporally displaces substances within the tank into the past or future. 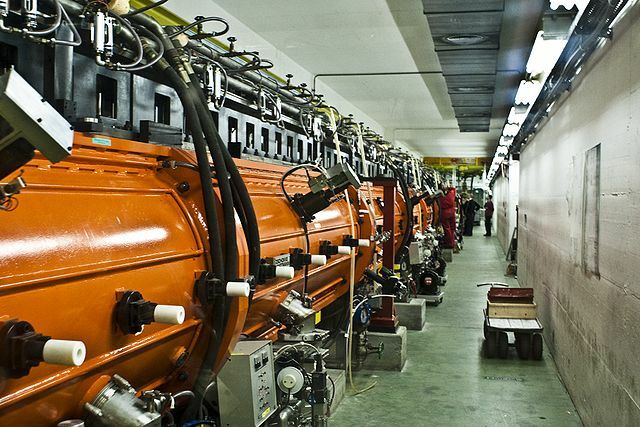 Use of electrons in the linear accelerators causes past displacement, while use of protons causes future displacement. The solenoid field strength determines the magnitude of the displacement; at maximum power, the tank contents are displaced approximately 800 years into the past or future. SCP-4422 only affects substances in a gaseous state. The mechanism behind this is poorly understood, but is hypothesised to be due to the stability and stronger intermolecular forces of liquids and solids temporally 'anchoring' substances. Experimentation and modelling suggests displacement of liquids and solids is theoretically possible using SCP-4422 or a similar device, but would require over 100,000 times its current power consumption, and the apparatus used in SCP-4422 is not rated to withstand the excess heat that would be generated during this process. 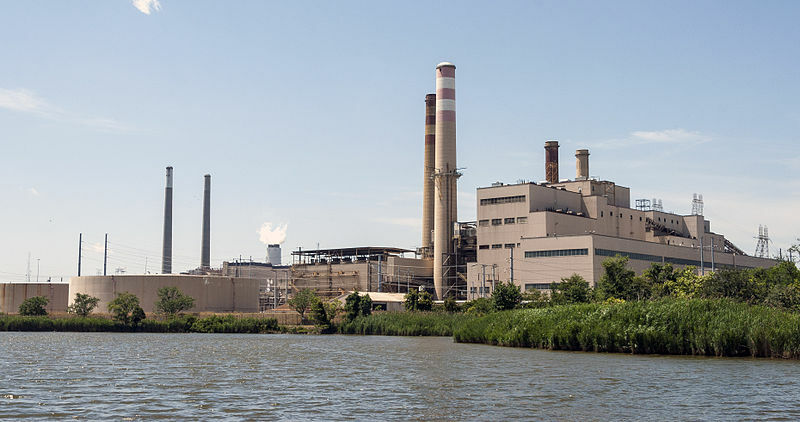 While SCP-4422 was primarily a proof-of-concept, it is effective in its intended function as a means of carbon emission disposal for the power station. 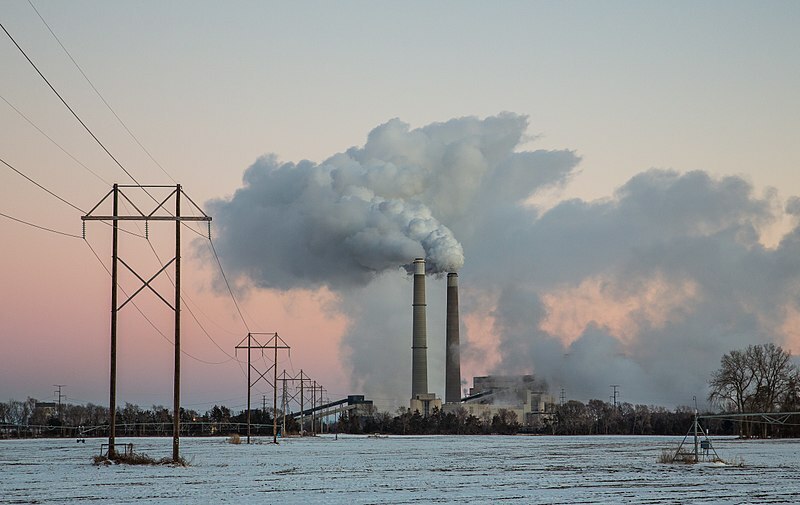 Carbon dioxide scrubbers (modified, but consistent with non-anomalous technology available in the 1990s) have been installed in the exhaust chimneys of Site-4422, and carbon dioxide is piped directly from the chimneys into the central tank. Gases are theoretically vented through the secondary exhaust system. This is rarely observed directly given the properties of SCP-4422, but elevated local carbon dioxide concentrations in the vicinity of the secondary exhausts are likely a result of past SCP-4422 use. Past-direction displacement of SCP-4422's contents results in their reappearance in the main tank at a past date until the venting system is engaged. Given the potential for accidents as a result of unforeseen gases materialising in the tank, past-direction displacement of industrial quantities of gases was halted in 1999. SCP-4422 exhaust systems in operation. SCP-4422 was developed by Prometheus Labs, in the course of their activities relating to SCP-2308, and was considered one of their most promising temporal projects. Although it was initially conceived as a general-purpose temporal displacement device, Prometheus were unable to overcome the limitations in displacement of solids and were forced to consider more restricted applications. They purchased the Lomberg plant from American Electric Power in 1985 and continued development on SCP-4422 from that time until 1991. SCP-4422 meets net zero emissions standards (albeit in the present day only) for the plant at competitive running costs; SCP-4422's energy requirements of 150 to 300 MW are covered by the power plant's capacity of 1200 MW and its operational costs are outweighed by eliminating requirements for carbon transport and storage. However, the significant capital investment and improvements in non-anomalous carbon capture and storage technology made SCP-4422 impractical for widespread commercial use, and further development was paused. Reinvestment in the SCP-4422 project recommenced in 1996, as a joint initiative between Prometheus and the ECSI2, but was abruptly halted by the collapse of the Prometheus conglomerate in 1998, after which SCP-4422 came under Foundation control. Addendum 4422-1: Additional uses proposed for SCP-4422 are outlined in the below table. On 04/11/2016, SCP-4422 was severely damaged by an explosion, later determined to be the result of the sudden introduction of an unidentified flammable gas into the main tank. This resulted in the partial collapse of the basement level and 3 personnel casualties. While firefighting and rescue operations were in progress, a large quantity of VX nerve gas materialised in the damaged tank, which spread through the rest of the Site and caused an additional 33 personnel casualties and 4 civilian casualties in the surrounding area. No recent activity of SCP-4422 or within Site-4422 was linked to this event. However, a joint Foundation-ECSI working group had recently completed a feasibility study on using an upscaled SCP-4422 as a last-resort measure of keeping global temperatures below [REDACTED] degrees of warming, as the ECSI had expressed interest in resuming research on SCP-4422 in partnership with the Foundation following the signing of the Paris Agreement in April 2016. This would have involved production of an initial 12 additional SCP-4422-derived devices with components derived from commercially available and GOC technology. It was estimated that a modernised variant of SCP-4422 would be able to process 1 Mt of carbon dioxide per annum, but with an effectively unlimited storage capacity, and the power for temporal displacement up to 4,000 years in the past or future. No further action on the proposal has been taken at present. YOU KNOW WHAT YOU WILL DO. SCP-4422 was repaired and containment procedures updated accordingly. 1. See Foundation Safety Manual, Vol. 4/Non-Anomalous Procedures, 2014 edition. 2. Esoteric Climate Stability Initiative, a UN-GOC division for paraclimatology policy. 3. See Xyank and Weizmann. (1993) The grandfather trap: quantifying the reality destabilization of temporal paradoxes through Hume levels. Journal of Applied Temporal Mechanics. 20(3-4), 20-25. 4. A Foundation-developed method for determining the presence of temporal anomalies, involving the transmission of an instruction to a future time and sealing the instruction in a time capsule, to be opened after the completion of the instruction and validated by the future receiver.